Scientists believe this will go towards a huge reduction in the amount of CO2 in the Earth's atmosphere creating a weapon against global warming. A two year experiment by scientists to deal with harmful carbon dioxide gases has resulted in a unique way to effectively use the waste causing global warming. CarbFix was a $10 million venture that took place deep in the Icelandic rocks. A mixture of carbon dioxide and water was pumped into the underground basalt rocks in the hope that the results would be a revolutionary new way to effectively help with the fight against global warming. The chemical process that was underway involved carbon emissions from Hellisheidi geothermal power plant near Reykjavik that, when mixed with water, created a slurry mixture and was injected into the rock, dissolving its calcium magnesium and forming limestone. 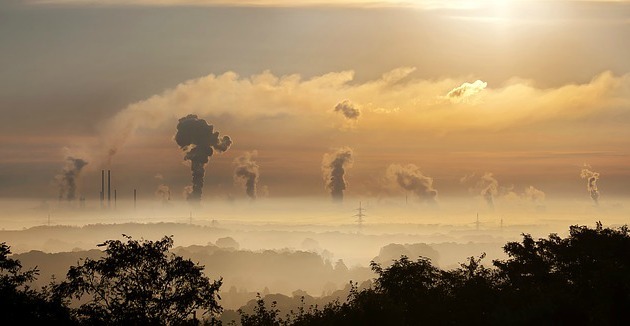 Lead author Juerg Matter, an associate professor in geoengineering at the University of Southampton, England, explains the surprise at how quickly the carbon stone formed. “The biggest surprise of the whole project was that the reaction between carbon dioxide and basaltic rock was really, really fast. Over two years, 95 percent to 98 percent was mineralized.,” Matter told Christian Science Monitor. The process had previously been conducted in a lab with researchers believing it would take at least thousands of years, if more, for the carbon dioxide to form into stone but after two years, 95 percent of the gas had completed the process successfully. The idea behind this experiment is the hope that harmful CO2 gas produced by power plants and general pollution can be captured and reused effectively, significantly reducing the carbon emission in our atmosphere. The only drawback is the cost at $17 per ton of CO2, around $10 higher than traditional carbon dioxide injection. However, undeterred, the researchers are looking into more natural locations to try this out long term with the ocean floor – rich in basalt rock – as a possibility.